The holiday s are finally here! If you’re like me, you’ve been obsessing over peppermint mochas and plotting gift ideas before Halloween was even over. But if you’re just starting to get your gift ideas together or are looking for the perfect present, consider picking up these items from some of our favourite Canadian artists. 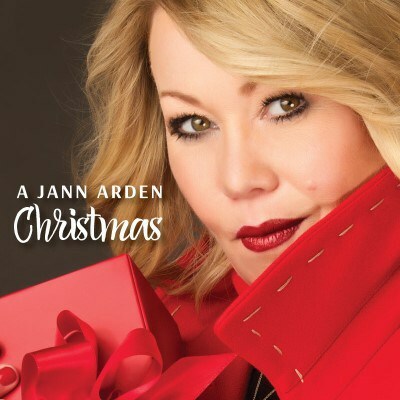 If you feel like being super Canadian and super Christmasy, look no further than Jann Arden’s A Jann Arden Christmas. The album is Arden’s latest studio work and contains all your favourite holiday tracks. It comes in a festive red coloured vinyl to bring the holiday spirit. Bring this to the family party, listen while sipping mulled wine, and wearing your best ugly Christmas sweater. You can buy the album here. Country music’s Jess Moskaluke has recently released her newest EP, Past The Past. The EP features her hits, “Drive Me Away” and “Kill Your Love”. May not be Christmas themed, but it should certainly be under the tree for any Country music fan this Christmas. 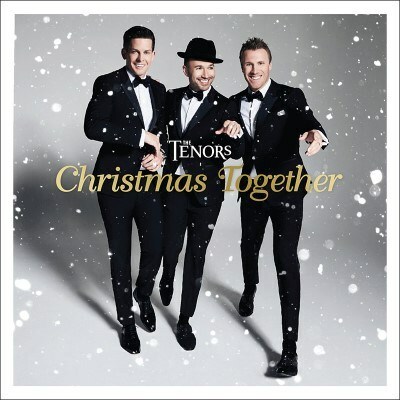 Does Christmas get better than The Tenors? Probably not. Give this to your nephew who is a classical voice major. Watch his eyes light up as he sings along to all the tracks when you gather round the Christmas tree. Choir enthusiast approved tracks include “O Come All Ye Faithful” and “God Rest Ye Merry Gentlemen.” Get the album in all its glory here. The songwriting legend is back with more just in time for the holidays! Out on December 1st, this is a must-have for any music enthusiasts. Working with his band, Promise of the Real, Young is embarking on a new songwriting journey and inviting us to hear his most exciting project yet. You can buy the album here. 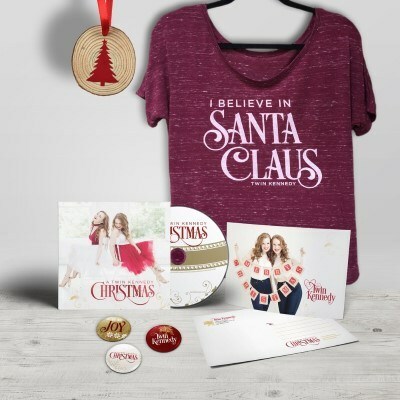 BC-based Country duo, Twin Kennedy have released a brand new Christmas EP entitled, A Twin Kennedy Christmas, along with various other holiday themed merch. This is the perfect gift for any Christmas loving country music fan. You can buy this bundle or other variations here. Whitehorse have released a beautiful set of limited edition canvas prints for their latest album Panther in the Dollhouse. Illustrated and signed by artist David Parkins, this is perfect for anyone lo oking for a one of a kind gift. Each print will be accompanied by your choice of the pink vinyl of Panther In The Dollhouse or CD. I’d say go with the pink vinyl, because who doesn’t love pink? You can purchase print and vinyl here. 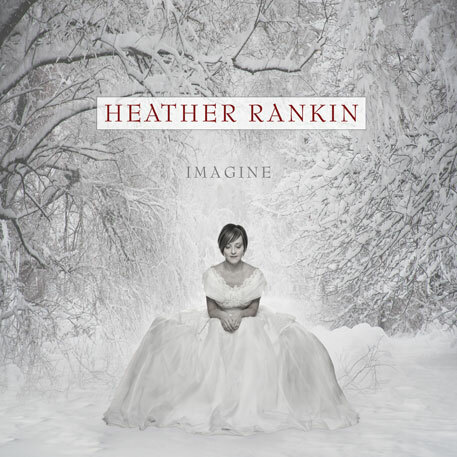 Heather Rankin is no stranger to the music scene, whether it be with the Rankin Family, Rankin Sisters or now as a solo artist. Last Friday, Heather released a holiday album entitled Imagine. 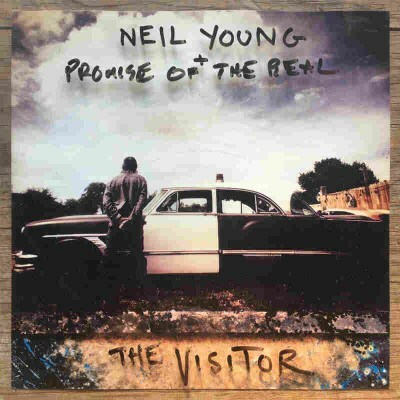 It is a great addition to any Christmas music collection, you can buy it here. If you’re looking to get even more creative, check out the “Deep Dark Wooden Spoon” from the folk band The Deep Dark Woods. 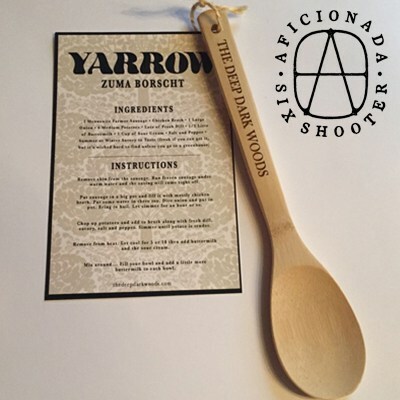 Having released their latest album Yarrow in October, this gift is a laser engraved wooden spoon and comes with Ryan Boldt’s Zuma Borscht recipe. Forget the turkey and cook up this recipe for your Christmas dinner! You can buy it here. 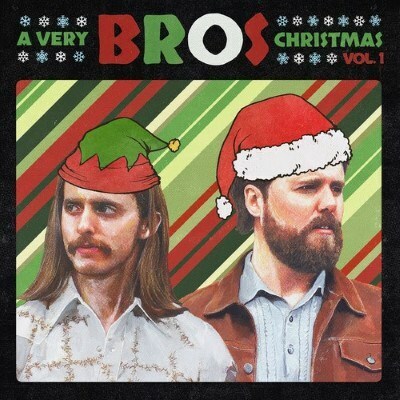 Your favourite rock duo but with elf and Santa hats, what more coul d you want? This is a limited edition release, with only 500 in total available. 100 of those are festival red and green vinyls, randomly inserted for the element of surprise. Tracklist includes “It’s Christmas Day” and and “These Things Comfort Me.” You can buy it here. I don’t think this even needs an explanation. Michael Bublé’s delicate crooning is what makes my holiday dreams come true.